Registration will be closed at 11:00, 13 Mar., 2018. Those who are not registered may try to walk in on a first-come, first-served basis. 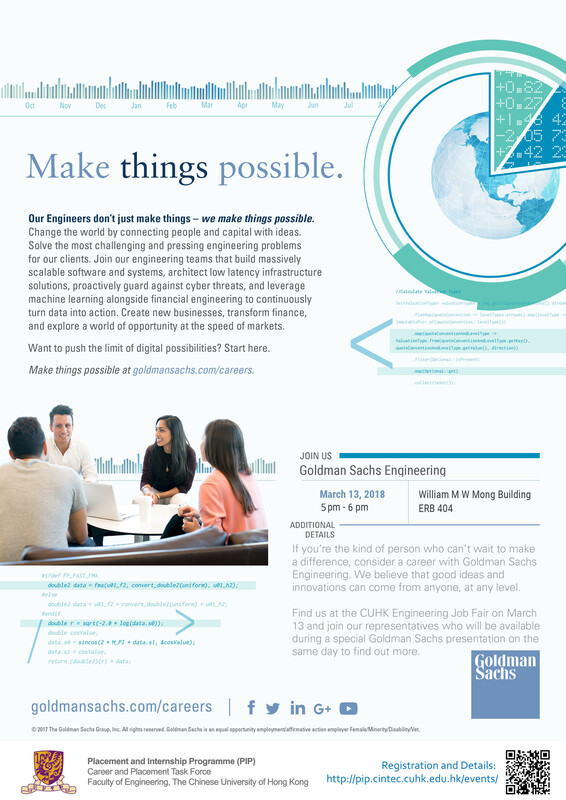 If you’re the kind of person who can’t wait to make a difference, consider a career with Goldman Sachs Engineering. We believe that good ideas and innovations can come from anyone, at any level. Find us at the CUHK Engineering Job Fair on March 13 and join our representatives who will be available during a special Goldman Sachs presentation on the same day to find out more. 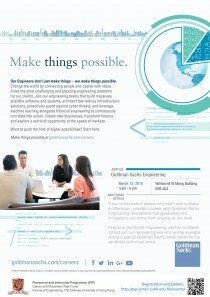 Make things possible at http://goldmansachs.com/careers .